Employees of the Law Offices of Fernando D. Vargas go through an exceedingly selective and extraordinarily competitive screening process. The office engages in a painstaking, methodical, and detailed regimen of review in search of the most qualified candidates. Those who are selected to join our team have backgrounds that reflect a passionate affinity for the practice of law, an intellectual prowess, a disciplined work ethic, a highly professional manner, a high moral fiber, a compassionate attitude, and speak fluent Spanish. In addition to being exceptionally accomplished, the office’s staff goes through an incredibly rigorous and intense regimen of training led by attorney Vargas. As a result, the office has compiled a team of scholarly and compassionate individuals, who working collectively under the leadership of attorney Vargas strive toward the fulfillment of one goal, one passion-client success! Experienced Associate Attorney with a demonstrated history of working in the law practice industry. Strong legal professional skilled in Torts, Automobile Accidents, Litigation Management, Personal Injury Litigation, and Arbitration. Graciella Ramirez is an extremely skilled, incredibly astute, and intellectually talented paralegal. Gracie’s disciplined work ethic and superior scholarly abilities paved the road for her to attain an Associates Degree in Paralegal Studies from Westwood College. Gracie, who is exceptionally organized and particularly detailed, serves as one of the office’s pre-litigation assistants with the absolute highest standards of professional excellence. Isabel Alvarez is a highly experienced paralegal with a tremendously gifted ability and extraordinary intellectual acumen. Isabel completed her paralegal studies at Platt College where she obtained her paralegal certificate in 2006. Isabel, a licensed Notary Public, serves the office as Senior Medical Administrator and assists in compiling, reviewing, and summarizing medical records with the absolute highest standards of professional excellence. Henry Anchondo is a highly accomplished, enormously experienced, and extremely knowledgeable individual. Henry graduated from the University of Phoenix with a 3.98 grade point average where he earned a Bachelor of Science degree in business management. Henry has formerly served as chairman for the Montclair Chamber of Commerce and as Chair for the Inland Empire Legislative Alliance. Henry has a plethora of experience working with the general public, is tremendously dedicated, and serves the office with the absolute highest standards of professional excellence. Sylvia Vargas is an extremely accurate, remarkably organized, and enormously meticulous bookkeeper who, in addition to handling all accounting matters for the office, assists with the administration, management, and supervision of the pre-litigation department. Sylvia, who graduated from the University of California, Los Angeles in 1989 where she earned her degree in Computer Science, serves the office with the absolute highest standards of professional excellence. Personal injury cases can be expensive to litigate. However, the Law Offices of Fernando D. Vargas, which is located in the city of Rancho Cucamonga, takes all of the firm’s personal injury cases on a “contingency fee” basis. 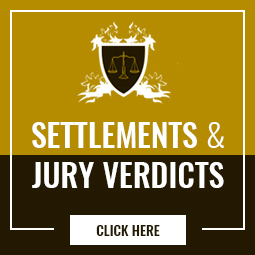 This means that you will pay nothing up front and Mr. Vargas will advance all money necessary to prepare your case for either settlement or trial. If Mr. Vargas is unsuccessful in resolving your case, you pay absolutely nothing. Attorney Vargas’ firm, which is fully staffed with bi-lingual personnel that are fluent in Spanish has successfully championed the rights of personal injury victims by wining millions of dollars in verdicts and settlements for their clients since its foundation in 1995. If you or a loved one has suffered personal injuries due to the negligence of another, it is vital that you consult with a reputable and experienced California Personal Injury Trial Lawyer. Call the Law Offices of Fernando D. Vargas at 909 / 982-0707 or contact us online to schedule a free consultation. If your injuries prevent you from coming to our Rancho Cucamonga office, we can arrange to visit you at your home or the hospital to ensure the timely investigation of your claim.